Broilmaster Stainless Steel Bowtie Burner Set For P3 And D3 Gas Grills (Pre-2011 Models). DPP-101. Grill Parts. 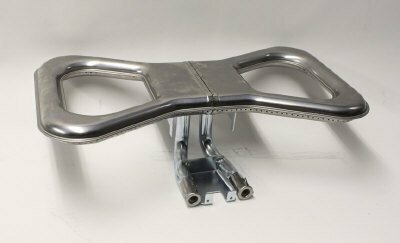 This Broilmaster replacement bowtie burner is constructed of stainless steel and is for use with the Broilmaster P3 and D3 series gas grills. The dimensions are 9 1/2" width X 17" length (see below note directly from Broilmaster manual) "Note: For P3 and D3 series grills manufactured before 2011: This re-designed burner may be slightly smaller, but is the factory-recommended direct replacement. This burner and orifice combination is rated at 40,000 Btu - the same as your existing burner - and will provide even temperature across the cooking surface.". Broilmaster has been manufacturing Premium Gas Grills every year since 1966. Early Broilmaster owners helped spread the word about the grill's exceptional performance durability, backed by the legendary support. 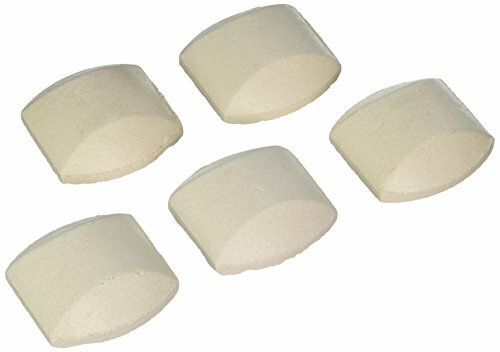 Char-Master Briquets. Use B101061 Briquet Rack with Size P3, D3, G3, and T3 Grill Heads. 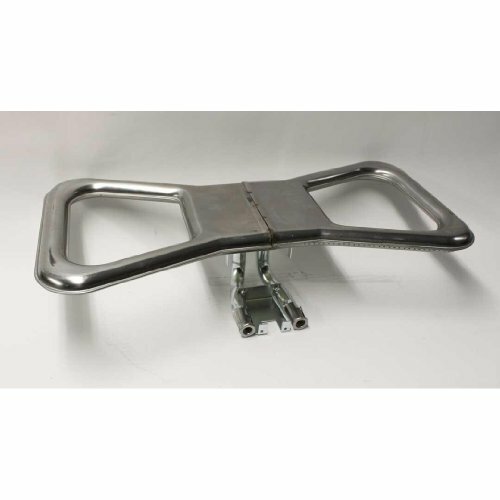 Briquet Rack to be used with Charmaster Briquets or Flare Buster Tiles. BOMDPA103 Features: -Turn savory juices into great smoky flavor. -Maintains a consistent temperature. -Drippings infuse back into your meal creating amazing flavor. -Huge selection to choose from. -High quality components. -Satisfaction ensured. Product Type: -Bisquettes/Seasoning. Country of Manufacture: -United States. 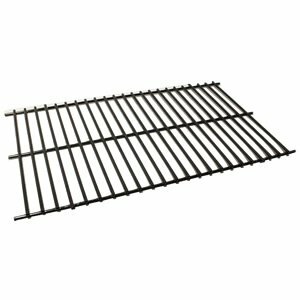 Hongso PCB203 (3-pack) Cast Iron Cooking Grid Replacement for Select Broilmaster Gas Grill Models, Set of 3. Fits Broilmaster D4, G-4, G-4 TSXPL, G-4 TSXPN, G-4 TXPL, G-4 TXPN, P4, U4. 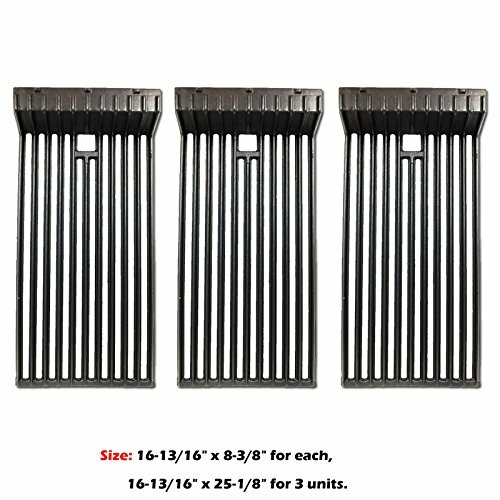 Fits Broilmaster D4, Broilmaster G-4, Broilmaster G-4 TSXPL, Broilmaster G-4 TSXPN, Broilmaster G-4 TXPL, Broilmaster G-4 TXPN, Broilmaster P4, Broilmaster U4. 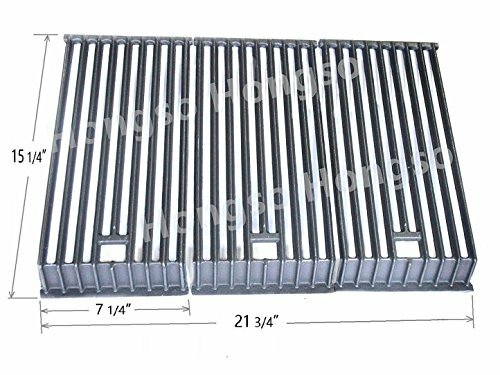 Dimensions: 15 1/4" x 7 1/4" for each grid or 15 1/4" x 21 3/4" overall; Comes with 3 grids as pictured. 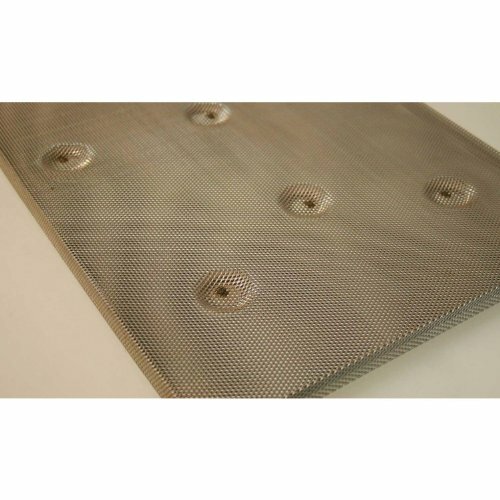 Dimensions: 15 1/4" x 7 1/4" for each grid or 15 1/4" x 21 3/4" overall; Comes with 3 grids as pictured; This product passed SGS testing to meet or exceed FDA standards. Use Briquet Rack with P4, D4, and G4 Size Grill Heads. Briquet Rack to be used with Charmaster Briquets or Flare Buster Tiles. 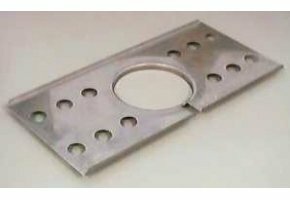 Stainless Steel Retract-A-Rack for P3, R3, T3, and D3 sized grill heads. Copyright © Wholesalion.com 2019 - The Best Prices On Broilmaster Grill Parts Online.